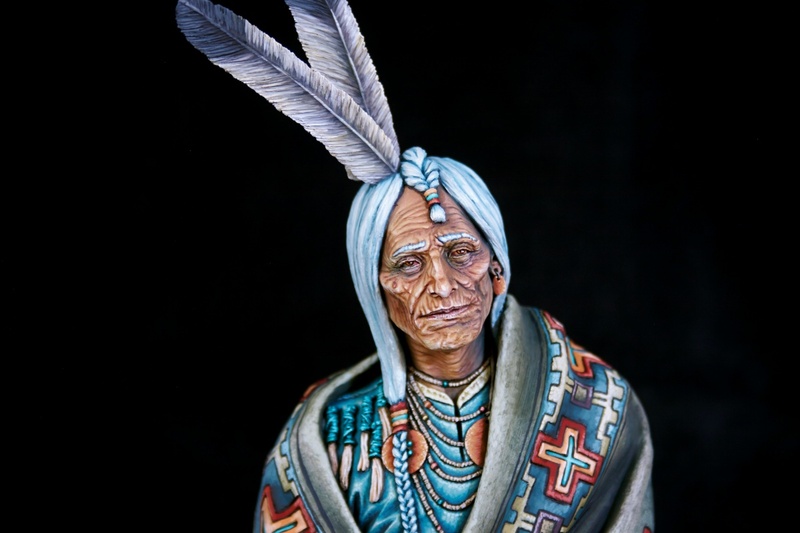 This is the Navajo Great Chief from Blackcrow Miniatures, sculpted by Romain van den Bogaert. 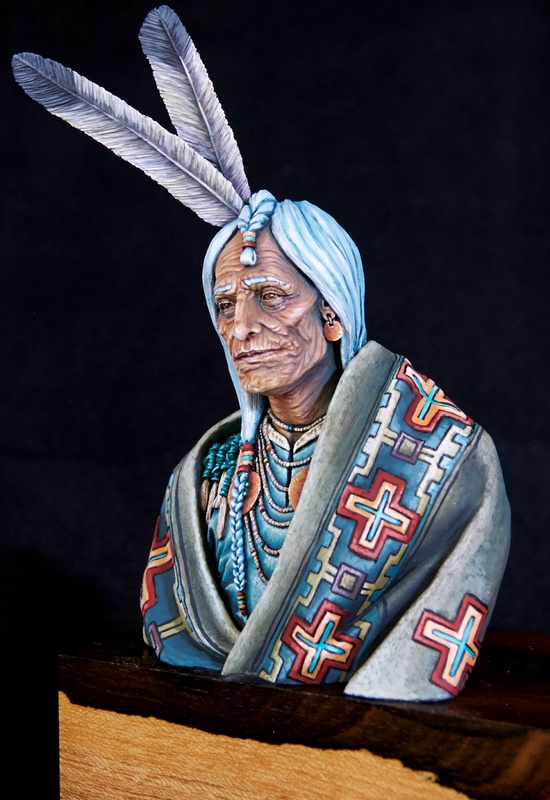 I envisaged him to be old and wisened by his years living in the sun-drenched plains of Arizona. 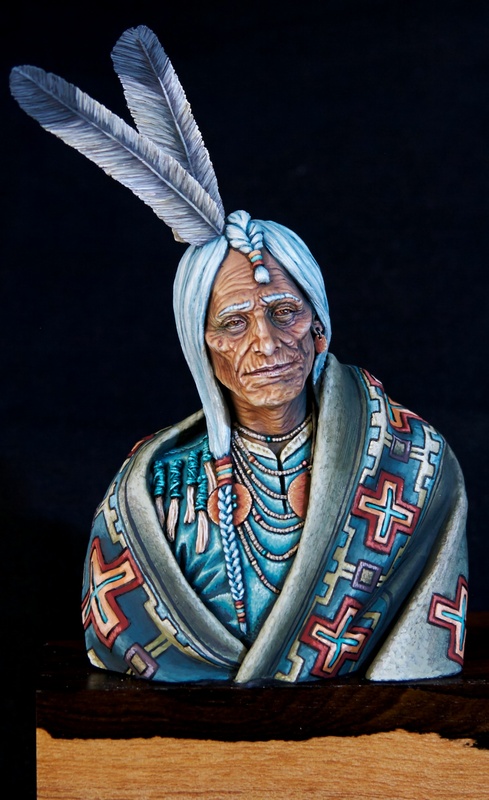 Next to him will be the Sioux Great Chief of North Dakota from Young Miniatures. 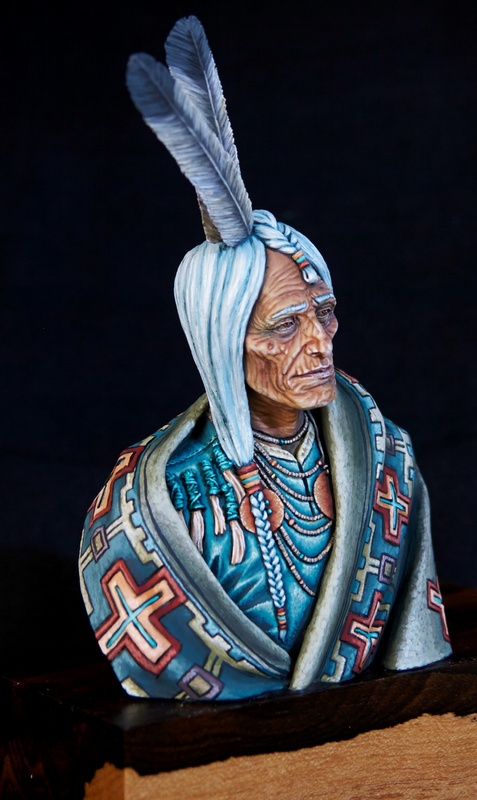 Interesting work, beautiful painting, I like it! Like the rope and the blue in the hair.